Biotium’s CellBrite™ NIR Cytoplasmic Membrane Dyes are ready-to-use dye delivery solutions that can be added directly to normal culture media to uniformly label cells in suspension or adherent cultures. What is the difference between CellBrite™, CellBrite™ NIR, CellBrite™ Fix, and MemBrite™ Fix? 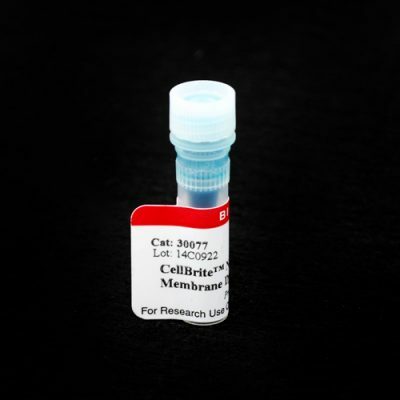 CellBrite™ Cytoplasmic Membrane Stains are lipophilic dyes for simple, non-toxic, stable labeling of membranes in live or fixed cells. Cells can be fixed with formaldehyde before or after CellBrite™ staining. 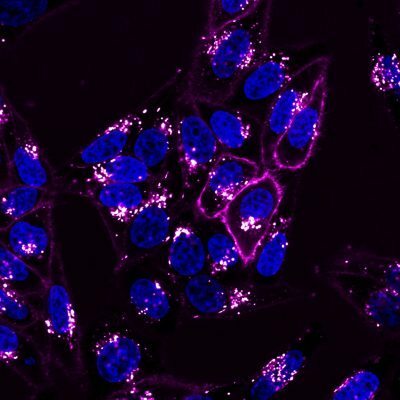 But the staining has poor tolerance for permeabilization or methanol fixation, so CellBrite™ staining is not easily combined with intracellular immunofluorescence (IF) staining. The dyes also do not stain bacteria or yeast. 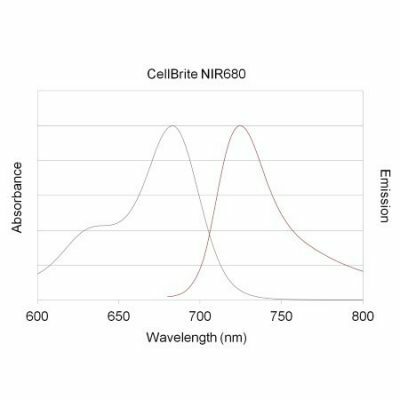 CellBrite™ NIR dyes are CellBrite™ dyes with near-infrared fluorescence compatible with small animal NIR imaging systems. CellBrite™ Fix and MemBrite™ Fix stains were developed to overcome some of these shortcomings. They are novel covalent stains that can be fixed and permeabilized for IF staining. 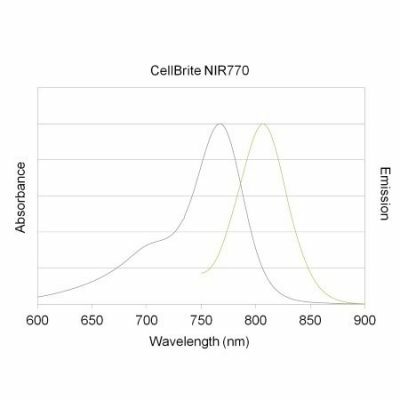 CellBrite™ Fix Membrane Stains are fluorogenic reactive membrane dyes that rapidly accumulate at the plasma membrane. When they incorporate into lipids, they become fluorescent, and at the same time react covalently with membrane proteins for stable labeling. Staining takes only 15 minutes in a single step with no wash. CellBrite™ Fix stains mammalian cells, yeast, and bacteria. MemBrite™ Fix Cell Surface Stains do not bind lipids, but label cell surface proteins. MemBrite™ Fix requires a two-step staining protocol with washing, but offers a more extensive choice of dye colors than CellBrite™ Fix. MemBrite™ Fix also can be used to stain yeast. But unlike original CellBrite™ dyes and lectins, CellBrite™ Fix and MemBrite™ Fix cannot be used on cells that are already fixed. To select a dye that’s right for your application, see our Membrane and Cell Surface Stains Comparison, or download our Membrane & Surface Stains Brochure. 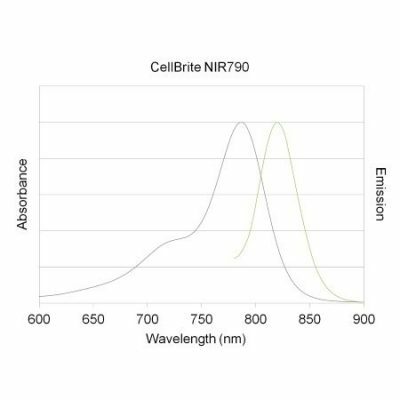 Do CellBrite™ dyes specifically stain the plasma membrane? Original CellBrite™ Cytoplasmic Membrane Stains are lipophilic carbocyanine dyes. These dyes undergo an increase in fluorescence when they insert into lipid bilayers. Lipophilic carbocyanine dyes stably label the plasma membrane and other intracellular membranes of cells. They also can be used to stain fixed cells or artificial lipid bilayers. CellBrite™ cytoplasmic membrane stains are lipophilic carbocyanine dyes. These dyes undergo an increase in fluorescence when they insert into lipid bilayers. Lipophilic carbocyanine dyes stably label the plasma membrane and other intracellular membranes of cells. They also can be used to stain artificial lipid bilayers. Immediately after staining cultured cells, the dyes primarily localize to the plasma membrane. If cells are cultured over time after staining, the labeled membranes are internalized and staining gradually becomes mostly intracellular. How stable is CellBrite™ membrane staining? Are the dyes toxic to cells? Lipophilic carbocyanine dyes like our original CellBrite™ Cytoplasmic Membrane Stains have been used to stain neuronal cells in culture for several weeks, and in vivo for up to a year (see note below). The dyes do not appreciably affect cell viability, and do not readily transfer between cells with intact membranes, allowing cell migration and tracking studies in mixed populations. Staining with the covalent stains CellBrite™ Fix and MemBrite™ Fix lasts up to 48 hours in tissue culture cells (see note below). Note: Over time, all cell surface stains will be internalized and become intracellular as membranes turn over by endocytosis. The rate of internalization may vary by cell type, rate of membrane turnover, and rate of cell division. In immortalized cells in culture, most of the surface staining becomes internalized over the course of about 24 hours for CellBrite™, CellBrite™ Fix, and MemBrite™ Fix stains. For an alternative stable and fixable stain for long term cell tracking or tracking cells in mixed cultures, see our ViaFluor® SE Cell Proliferation Dyes. These dyes covalently label intracellular proteins throughout the cell and are non-toxic and fixable. Carbocyanine dyes label cytoplasmic membranes and intracellular membrane structures efficiently and permanently (1). They have been used as tracers in cell–cell fusion (2,3), cellular adhesion (4,5), and migration (6) applications due to their properties of low cytotoxicity and high resistance to intercellular transfer. However, the lipophilic nature of these dyes pose an obstacle to uniform cellular labeling. Although structurally related PKH dyes have been developed and optimized for cell labeling, the procedure requires multiple steps and subjects cells to an iso-osmotic mannitol loading medium (7,8). A variety of carbocyanine dyes with different optical properties are available, allowing cell populations to be marked with distinct fluorescent colors for identification after mixing. Double labeling can identify cells that have fused or formed stable clusters. CellBrite™ NIR Cytoplasmic Membrane Dyes are novel near-infrared carbocyanine dyes for labeling the cytoplasmic membranes of living cells. Due to their long emission wavelengths, near-infrared cell membrane stains can be used to label cells for near-infrared small animal imaging studies for non-invasive imaging of cell migration and cell homing (9). The dyes have long 18-carbon hydrophobic tails and an additional water-soluble group. These unique chemical structure elements make the dyes easy to dissolve while providing highly stable cytoplasmic membrane staining, unlike traditional carbocyanine dyes like DiI, DiO, and DiR, which are often difficult to dissolve or prone to precipitation during cell staining. 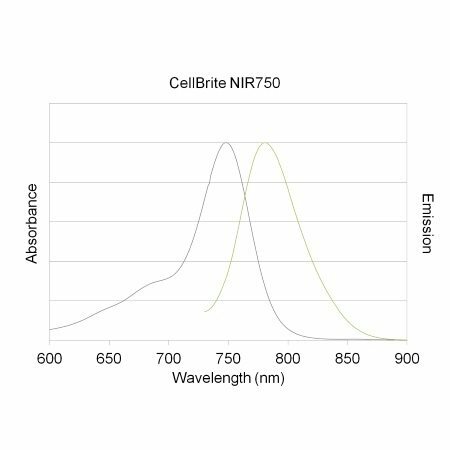 CellBrite™ NIR Cytoplasmic Membrane Dyes are available in the following colors: NIR680, NIR750, NIR770, and NIR790. Biotium offers other CellBrite™ Cytoplasmic Membrane Stains in a variety of colors. 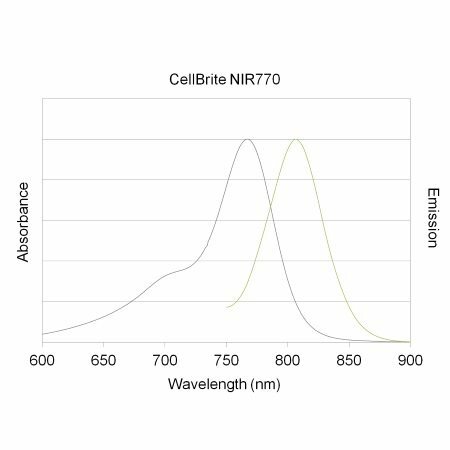 CellBrite™ dyes can be used to stain live cells or formaldehyde-fixed cells. Live cells can be fixed in formaldehyde after staining as well, but the staining has poor tolerance for methanol fixation or detergent permeabilization. However, permeabilizing fixed cells before staining with CellBrite™ dyes can give good results. For membrane stains that withstand fixation with either formaldehyde or methanol, as well as detergent permeabilization after staining, see our CellBrite™ Fix Membrane Stains and MemBrite™ Fix Cell Surface Staining Kits. For more information, download the product information sheet, or see Frequently Asked Questions. CellBrite™ dyes do not stain yeast or bacteria. See our Cellular Stains Table for more information on how our dyes stain various organisms. 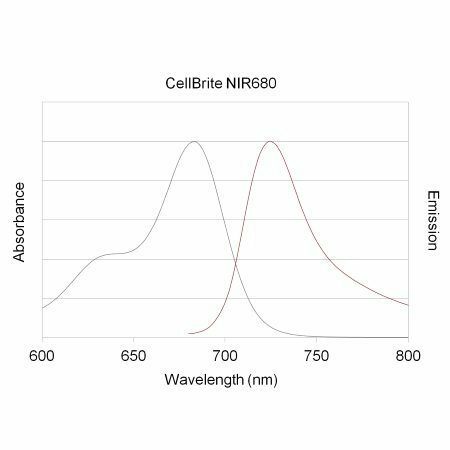 CellBrite™ dyes are non-toxic and stain cells very stably. They can be used to track cells for days to weeks. However, over time the dyes will be internalized by endocytosis, resulting in labeling of intracellular vesicles. By 24 hours after staining, the dyes will no longer outline the plamsa membrane, but will be localized inside the cell. For long-term visualization of cell morphology in culture, our stable, non-toxic ViaFluor® SE Cell Proliferation Kits may be a more suitable alternative. ViaFluor® SE dyes covalently label cells throughout the cytoplasm and can be tracked for several days or longer by microscopy or flow cytometry. See our Tech Tip: Using ViaFluor® SE Stains for Cell Tracing and Co-Culture to learn more. MitoView™ dyes are fluorogenic mitochondrial stains for live cells. The dyes rapidly accumulate in mitochondria and can be imaged without washing. They are available with blue, green, far-red, and near-infrared fluorescence. NucSpot® Live Cell Nuclear Stains are cell-membrane permeable DNA dyes that specifically stains nuclei in live or fixed cells. They have excellent specificity for DNA without the need for a wash step, and they have have low toxicity for live cell imaging. Supplied as 1000X stock solutions in DMSO. ViaFluor® SE Cell Proliferation Kits use amine-reactive dyes to covalently label the cell cytoplasm, and are used to monitor cell division by flow cytometry. The dyes also can be used to stably label cells to image cell morphology, or to track cell populations in mixed co-culture experiments. The labeling withstands fixation and permeabilization for immunostaining.